In this guide, we will explain how to update your Salesforce Formyoula Connected App RefreshToken to make sure you are not experiencing Salesforce Session Expiration. If you have any questions, please email us support@solutionrock.com. 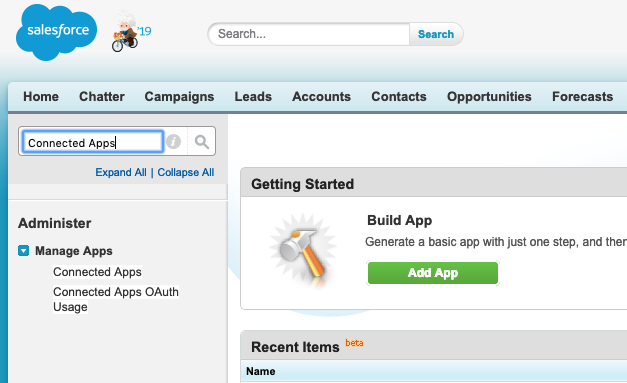 Please open your Salesforce Settings Page and search for Connected Apps. Please find "Formyoula" and "Formyoula Users" Connected Apps. Click on the name to open the detail page. Please make sure the "Refresh Token Policy" is set to "Refresh token is valid until revoked."